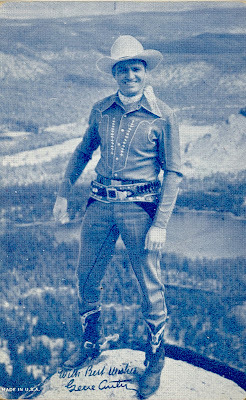 Gene Autry is one of those larger than life figures in San Fernando Valley history who became world famous as an entertainer and movie star. 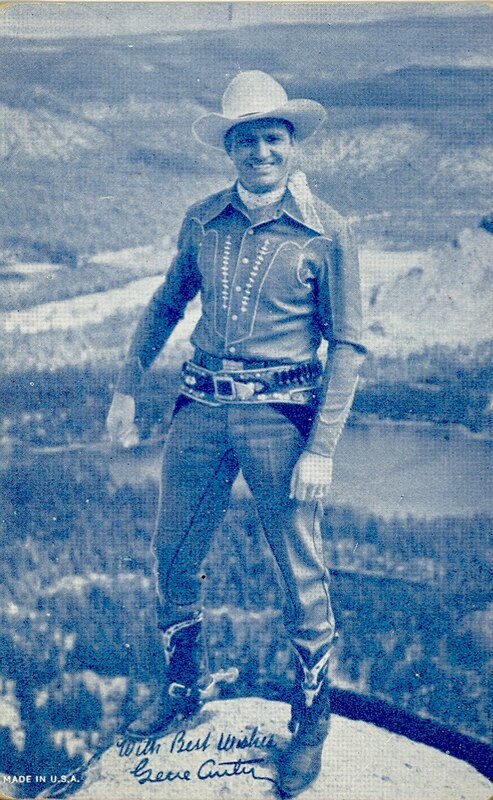 Because of the nearness of the great Autry Center in Griffith Park, lots of information is available on the actor - singer's life and career. The Museum of the San Fernando Valley seeks information about his work and life in the Valley. Do you care about the history of the Entertainment Industry in the San Fernando Valley? Well, now's the time to come aboard as a Member of the Museum. Check out how to join on The Museum's website, and when you do, consider becoming a volunteer Friend of The Museum. All of us, from the most recent member to our president are VOLUNTEERS. Join us, it's great fun. And that would be the Chatsworth reservoir behind him? Wow. Great find.